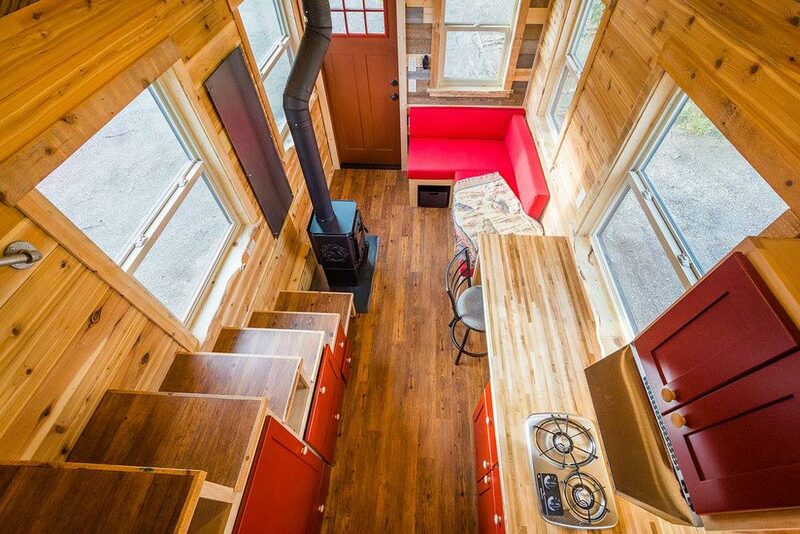 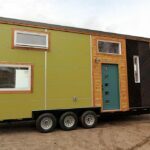 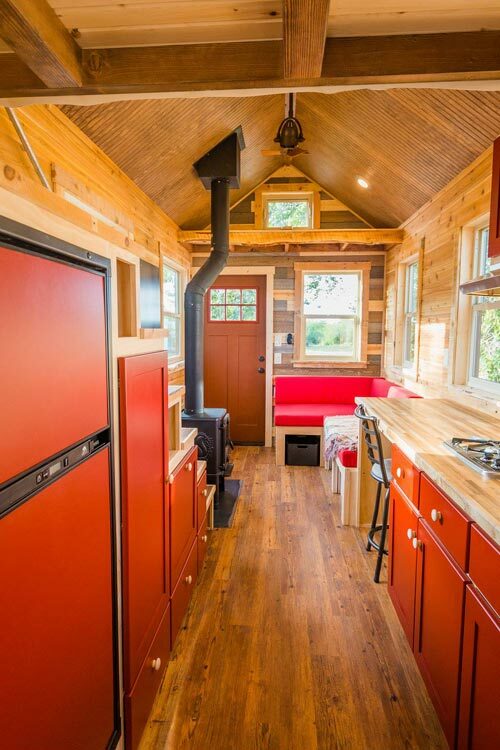 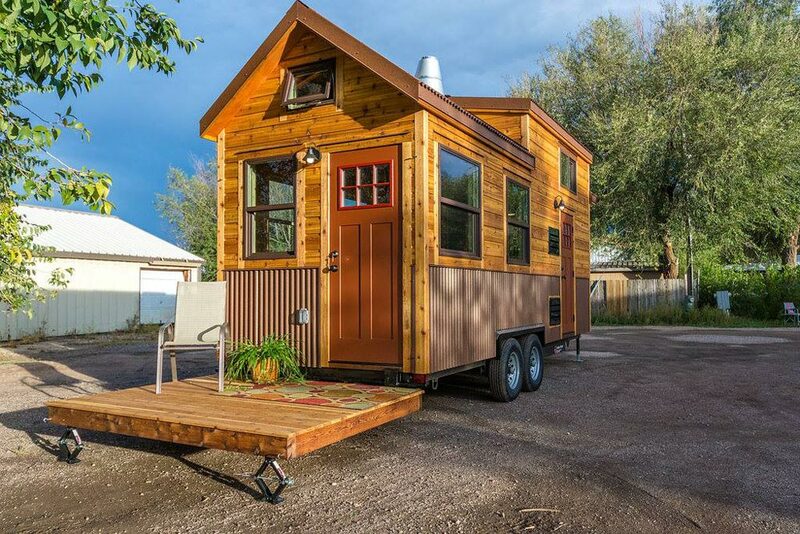 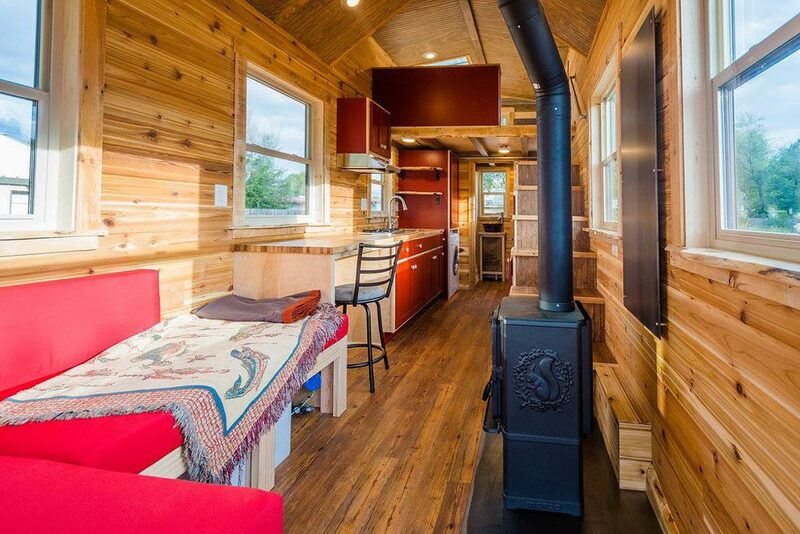 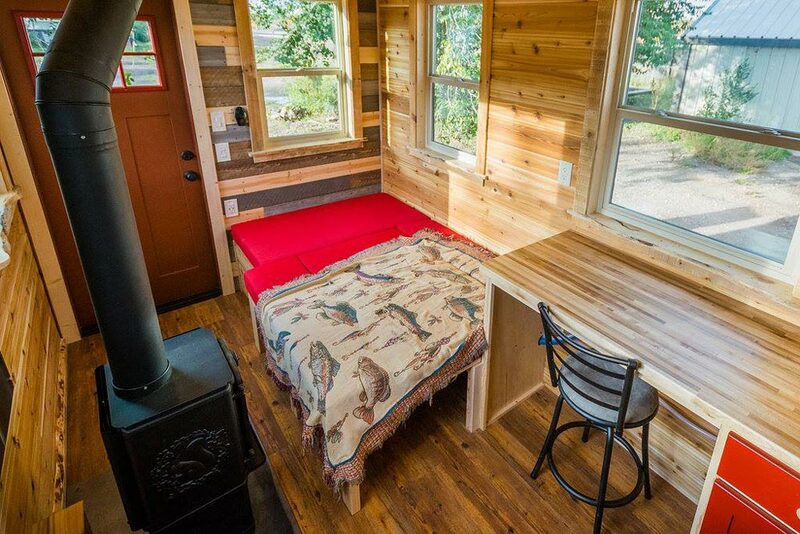 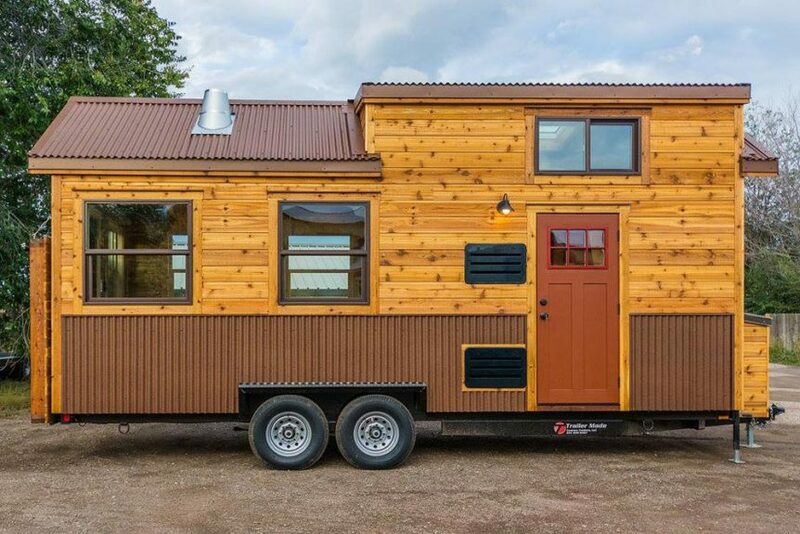 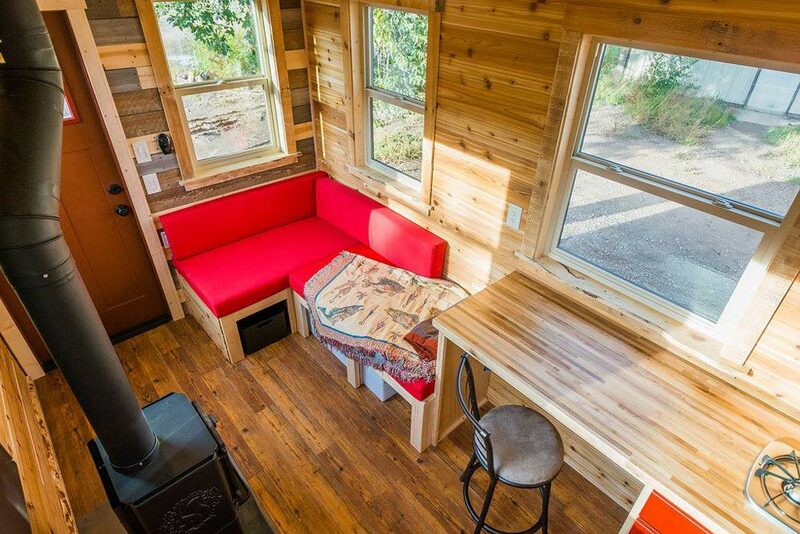 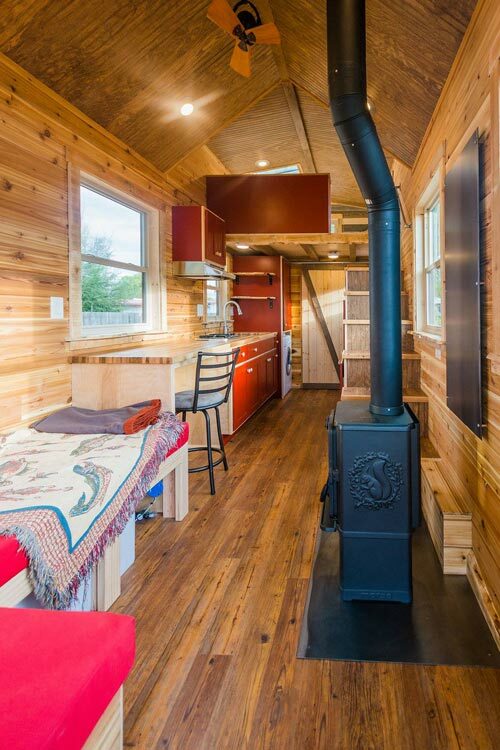 Fully equipped for living off-grid in the Colorado mountains is this 22-foot tiny house on wheels. 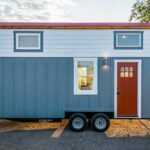 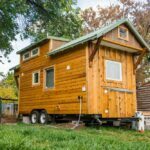 Built by Mitchcraft Tiny Homes for their client, Davis, the tiny home has a solar panel system and 70-gallon fresh water tank. 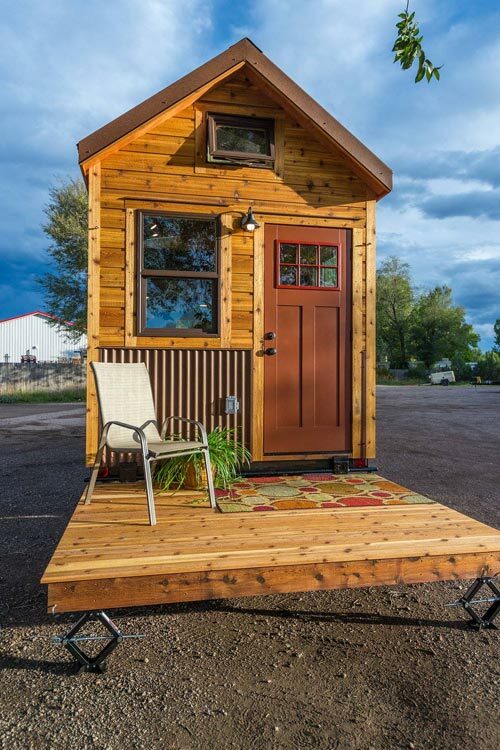 The rustic home has a traditional style with its gable roof and double dormers. 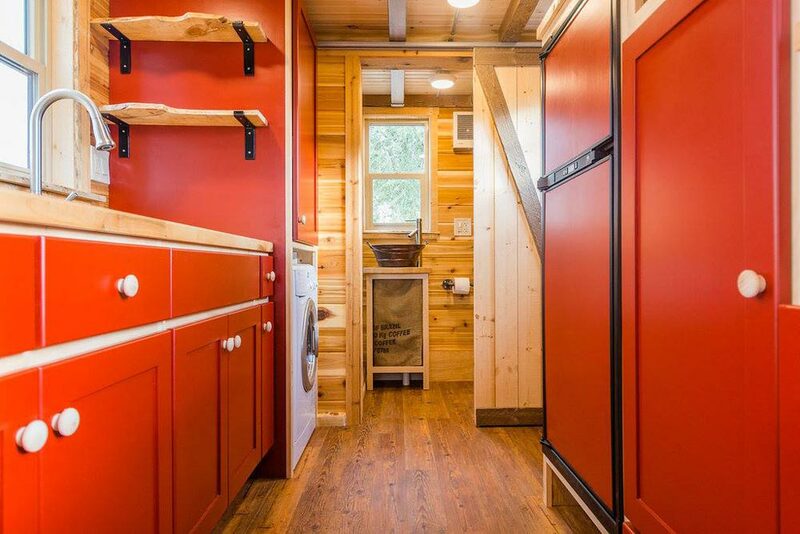 There are two entry doors, one that leads into the kitchen and one that leads into the living room. 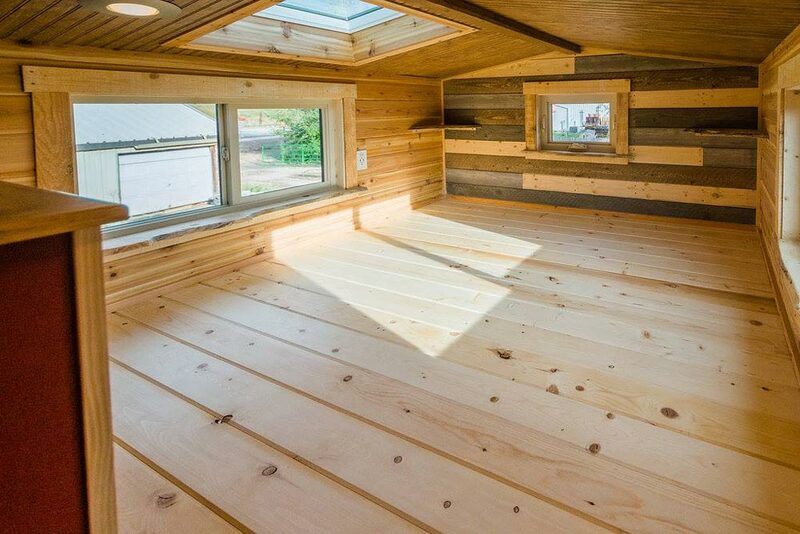 At the end of the house is a 6’x8′ cedar deck that folds up when the house is being towed. 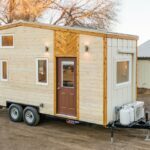 The solar components are housed in the storage box over the tongue of the trailer. 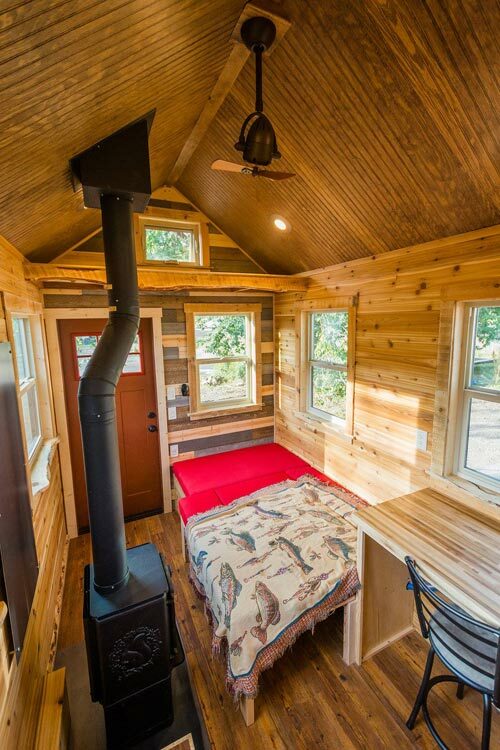 There is a king-size sleeping loft with skylight, plus the living room couch can be converted into a guest bed. 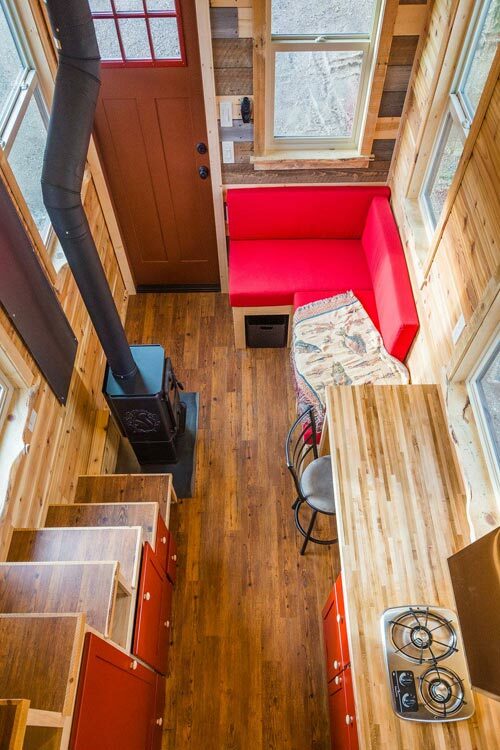 There is a Morso 1440 wood burning stove and two-person dining bar in the living area as well. 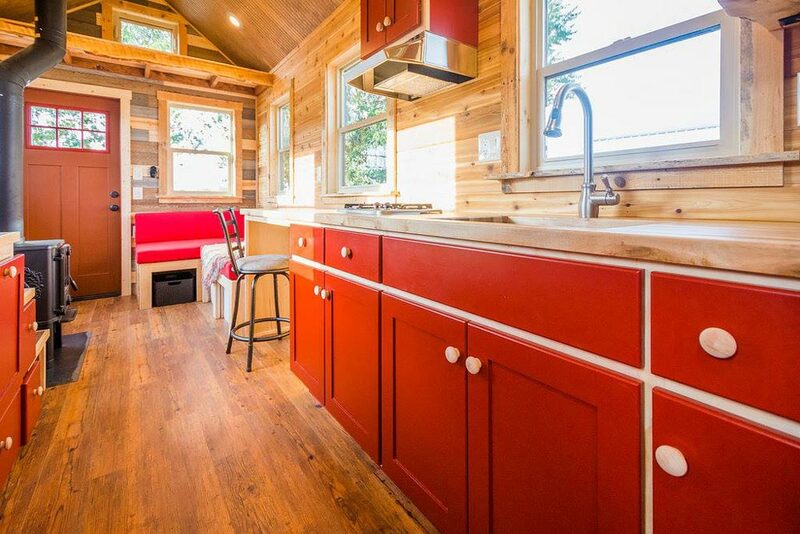 The kitchen includes 8-feet of countertop, pull out pantry shelving, propane & electric 2-way refrigerator, and a washer/dryer combo. 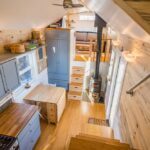 The storage staircase has ample storage with closet space and pull out trash/recycling bins. 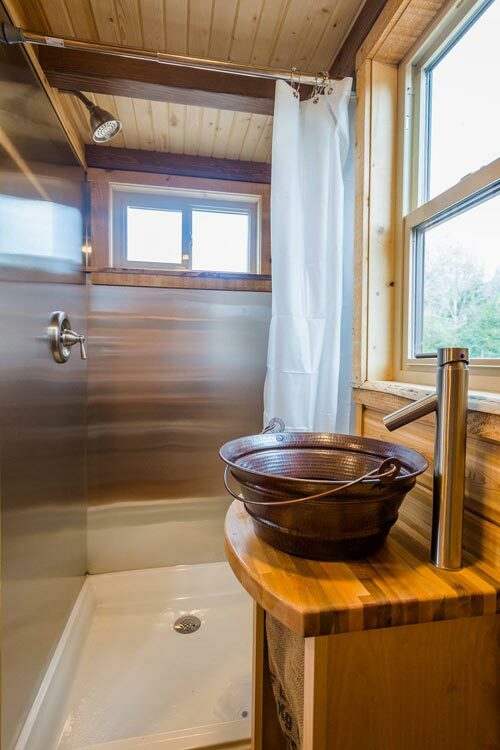 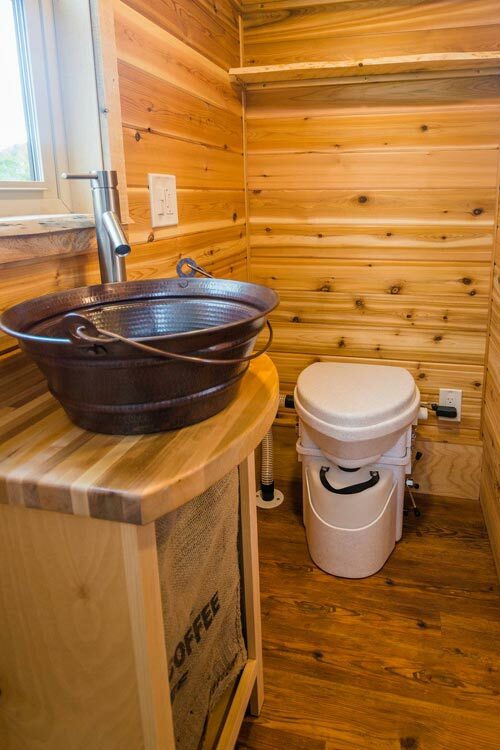 In the bathroom is a 36″ stainless steel shower surround, rustic pail bathroom sink, and composting toilet. 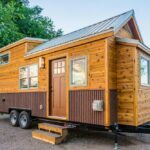 For more information about this custom tiny house, you can visit the Mitchcraft Tiny Homes website or visit them on Facebook.